Want To Emulate A Professional Athlete? I heard the song “Lose Yourself,” by Eminem, recently and it reminded me that I’d heard he treats each paycheck like it’s his last. I did some research on it to be sure, and it seems that it might instead be a lyric from one of his songs. Either way, I came across a great article that references a few other money-related themes from his lyrics. Somehow, this got me thinking back on the financial habits of professional athletes that I’d read about in the past. When I discuss goals with students in my sessions, I often hear a long-term goal of becoming a professional athlete. Or, that they “won’t have to worry about money because they’re going to be a professional athlete.” I certainly let them know that anything is possible, but I also recommend that they have a “plan B.” Even if you’re one of the lucky few to go pro, according to this article, the average career of a professional athlete is 4.52 years (this covers football, baseball, basketball, soccer, and hockey). Even though a player may not make it for very long, a pro sports career can, however, be a very lucrative one. Aside from soccer (average MLS salary is $316,777), the average salary of the other four sports is $3.9 million. I don’t know about you, but I’m fairly certain I would easily be set for life making the average professional salary over the average length of a pro career! We also know that personal finance is simple, but not easy, right? 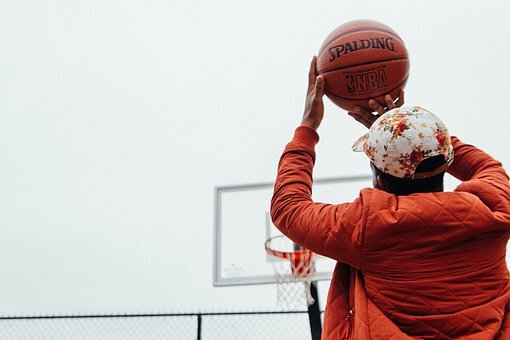 Perhaps you’ve seen the sobering statistics that 78% of former NFL players face bankruptcy within two years of retirement, or that 60% of NBA players are broke within five years of leaving the game. How could you not be if, like Antoine Walker, you never wore the same designer suit twice? And who could forget Latrell Sprewell wondering how he was supposed to feed his family on “just” $14.6 million a year? But I prefer to look at the glass half-full. Rob Gronkowski, of the New England Patriots, may be well-known off the field for partying and pounding beers aboard a Duck boat in the recurring Super Bowl championship parade in Boston. But, he’s also become a bit of a poster child for fiscal responsibility too. Your see, “Gronk” hasn’t spent any of his career NFL salary or signing bonus money and, instead, lives off of his endorsement money only. And he’s not the only professional athlete living below his means while earning a multi-million-dollar salary. Check out a few more of them here. My favorite of this list might be that Kirk Cousins, the Washington Redskins QB, drives a passenger van he bought from his grandmother for $5,000. Seems like a wise purchase for someone bringing home $24 million a year! And it’s not all about money. J.J. Watt, a player for the Houston Texans, used his status as a role model for the purposes of good in his community after Hurricane Harvey devastated the city in 2017. Through his foundation, he raised and distributed over $41 million to the people of Houston. Talk about a positive example! The story below happened within the past week. Mookie Betts, a key member of the Boston Red Sox team that just won the World Series, and his cousin were spotted passing out hot meals to homeless people in 30-degree weather following the team’s Game 2 win. No pomp, no circumstance, no Red Sox uniform; at that moment, Betts became just another person making a difference in the lives of a few people with real-world problems not far from a cathedral of sports that may as well have been a universe away. Remember – spending less than you earn is the key to financial independence, even for professional athletes. And even if you aren’t a fan of Eminem, or his music, there’s something to be said for treating each paycheck like it’s the last one you’ll ever receive. Unfortunately, there could come a time when it is the last check. I imagine most of the broke athletes out there thought their careers would last decades, not a mere four and a half years. For the rest of us, the exact same thing could happen with our careers. Finally, it doesn’t even take fame or fortune to do good in your own community. How can you use your own skills and talents to make a difference where you live? Too often, we read about the fortunes lost, or the selfish behavior of professional athletes. To the youngsters out there that become professional athletes – use your fame and fortune for good. Remember the choices of Gronk and Kirk Cousins, and the philanthropy of J.J. Watt and Mookie Betts. You’ve been given a gift, so make sure you share it with the world.